We are totally loving the Cascade Eco Highland Duo this fall, with it’s 70% alpaca and 30% merino blend it is super soft to work with, and has some great drape and texture! This yarn is versatile and will make a great 1-skein project or also will work up into a lovely larger project like a shawl or even a sweater! 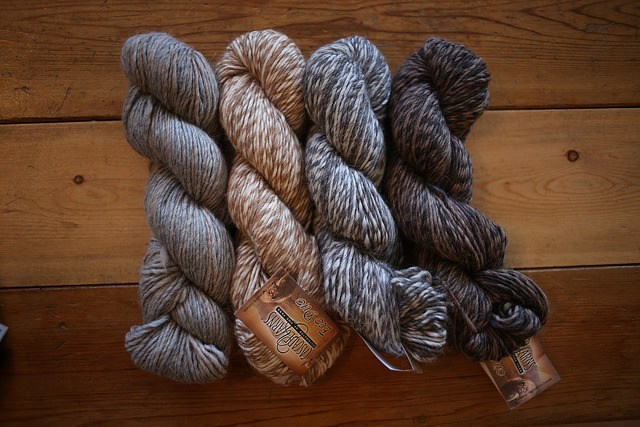 The skeins are 100g and 180m (197 yards), we carry the entire line of natural shades – perfect for a gradient shawl project! 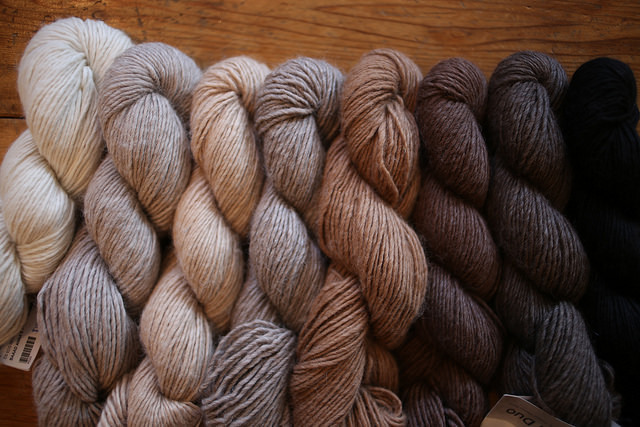 We also have the natural blends, which knit up beautifully! After knit city I will be working on a gradient shawl with three different shades! Watch here for more details and pictures! Any chance you’ll carry copies of Sharon Kallis’ book? Only 5 pathetic copies are on order at VPL and I’m sure people would rather buy from you than Amazon. Lots of great stuff in it about natural dyeing and Caitlin is referenced in the index 4 times! hey Penny – happy to bring it in for you!! Love the scarf that I made with this stuff! The natural colours are beautiful & it’s super soft!